What Dremel Tips are used to Scroll Saw? 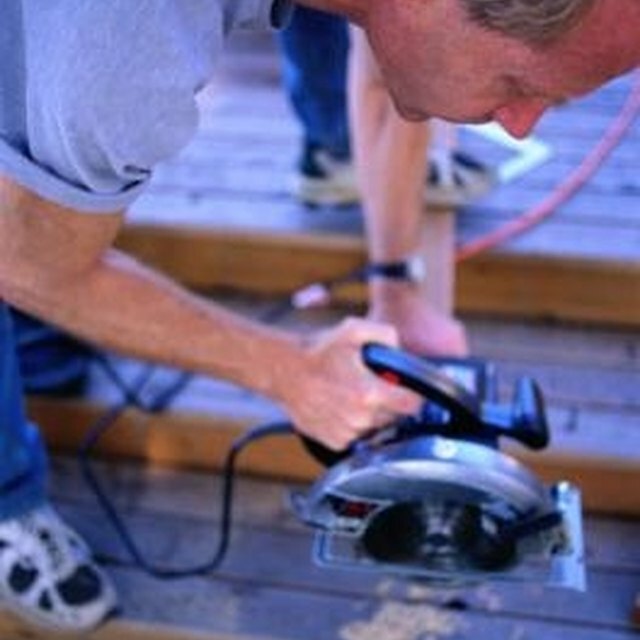 Dremel is famous for its rotating tool, the Moto-Tool, which rotates a bit at high speed. Known colloquially as ?a Dremel,? it can cut, drill and route, depending on the bit that you use. The Dremel can do just about everything, including act as a scroll saw. When you need to cut intricate curves, it's best to use a scroll saw instead of a jigsaw or coping saw. Unlike a band saw with a continuous loop blade, scroll saws use blades that use a quick reciprocating up and down motion. This allows you to begin a cut within a surface instead of from the edge of a surface. Dremel no longer carries its Moto Shop Scroll Saw (Model 57-2), its Dremel 1680 or 1830 Scroll Saws, or its Scroll Station 1800, which combined a traditional scroll saw with a disc sander and a flexible shaft tool. It's still possible to find vintage Dremel Scroll Saws, and it's still possible to buy replacement blades for its other discontinued scroll saws. Dremel has come out with a Multi-Saw attachment, which combines a jig saw, reciprocating saw and scroll saw all in one. Dremel® 16411 5-inch 15TPI Scroll Saw Blade These pin-end blades are the easiest blade style to take in and out of the saw. At 15 teeth-per-inch, they are well suited for tight radius cutting in both hard and soft wood. They are 5 inches long and come five to a package Dremel® 16463 5-inch Spiral 41T Blade These spiral blades cut in all directions, which means that you do not need to adjust what you're working on in order to change the direction of the cut. These blades are five inches long and have 41 teeth. You can buy them in packages of five. Please note that this blade replaces blade # 16461. Dremel® 16413 5-inch 185TPI Scroll Saw Blade Like blade # 16411, these are pin-end blades that are easy to insert and remove from the saw. They are also well suited for tight radius cutting in hard and soft wood. They are five inches long and have 185 teeth-per-inch. They come in a package of five Dremel® 16431 5-inch 20F/14R TPI Scroll Saw Blades These reverse-tooth blades provide a smooth, splinter-free finish, which means that they leave a clean, sharp edge on both the top and bottom of the surface of the wood. These blades have plain ends rather than pin-ends. They are five inches long and have 20 forward-facing teeth-per-inch and 14 reverse-facing teeth-per-inch. They come 12 per package. The Scroll Station accepts pin-end and plain-end saw blades, including a couple that you may have if you own one of the discontinued scroll saws--the Dremel® 16411 5-inch 15TPI Scroll Saw Blade and the Dremel® 16463 5-inch Spiral 41T Blade The Scroll Saw also accepts these blades: 16446 Plain-End Scroll Saw Blade At 125 teeth-per-inch, these plain-end blades allow for extremely tight radius cutting and intricate cuts in wood, plastic and fibrous materials. They come five to a package 16453 Plain-End Scroll Saw Blade These blades are very similar to the 16446 Plain-End Scroll Saw Blade, except that they have 95 teeth-per-inch You may want to consider using the 225-01 Flex Shaft Attachment, a flexible, 36-inch shaft that attaches easily and allows you to drill pilot holes for inside cuts. The Dremel MultiSaw is a compact and versatile attachment that turns your Dremel 4000 and 400XPR into a jig saw, reciprocating saw and scroll saw. It works well with both hard and soft woods, plastics, thin sheet metal, paneling and other materials. You can use any brand of standard U and T shank jig saw blades with this attachment, which you should be able to find at any hardware store. Kate Purviance has edited professionally since 1994, most recently with a start-up tutoring company based out of Los Angeles, and has written for such publications as "The Acorn," "The Argonaut," "Blind Man's Rainbow" and the "Moscow Co-Op Newsletter." She has a Bachelor of Science in microbiology from the University of Idaho and is currently earning her Master of Architecture from Harvard.